CROWN HEIGHTS — It's amazing the difference a train stop can make. When Sean Davidson and his new bride Pranjali began searching for their perfect New York apartment this spring, they never imagined they'd end up on Montgomery Street. 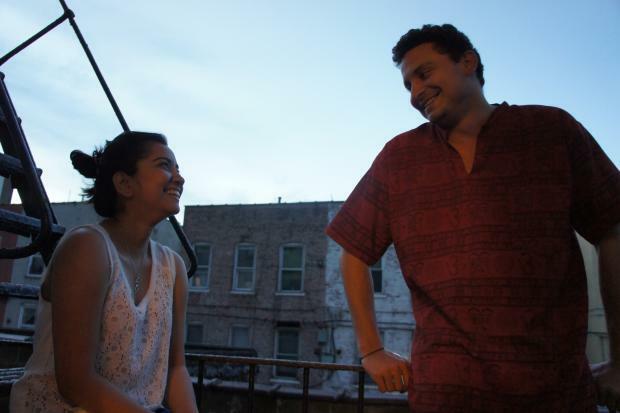 But after weeks of wandering the just-barely affordable borderlands of Bushwick, Park Slope and Astoria, they fell in love with a spacious, two-bedroom apartment between Schenectady and Utica avenues, on the far eastern edge of Crown Heights. "We were all the way down the L train line — it looked like an abandoned industrial dump," Davidson said of their initial inquiries near his last home in Williamsburg. "Why would we pay $1,800 a month to be so far away?" The pair are far from alone, particularly among young couples and new families seeking more space and a more settled vibe than in the borough's most coveted neighborhoods. As pricey 'Williamsburg' rents trickle deeper into Bushwick and the once affordable blocks ringing Crown Heights' booming Franklin Avenue fill up with renters eager to shell out $1,500 and up for studios, people like the Davidsons are looking south to Prospect-Lefferts Gardens and east to the stretch of avenues between the Crown Heights' Hasidic enclave and its border with Brownsville. "When I saw this place, it was the biggest place we had seen," said Prianjali Davidson of the couple's newly gut-renovated $1,700 a month two bedroom, where they lounged together listening to Icona Pop and indulging a few before-dinner sweets. "We went to Bushwick, Astoria, we looked all around Williamsburg, Park Slope, Prospect Heights — he was on the computer morning, evening and night." Despite some initial misgivings, they said they're thrilled with the area. "We did have our apprehensions, but they were all squashed within a day," Davidson said. "Everyone was so helpful, holding the door for us, asking us what we need. No one does that in this city." There are definitely drawbacks. Davidson has yet to find a local laundromat or dry cleaner who will launder and press his work shirts, a service that's common along the L train or just a stop away on Franklin Avenue. Though ethnic food abounds, there's none of the Thai places and sushi spots that dotted their old neighborhood in Williamsburg. And ordering in? Forget it — Seamless doesn't deliver to their zipcode. "There's one restaurant that does delivery," Sean said. "It pisses me off because these establishments have already judged this neighborhood." Still, Sean Davidson said they couldn't be happier with their apartment, their neighbors, or the leafy block they've settled on. "Utica has everything you need," Davidson said. "I wouldn't bat an eye to recommend this neighborhood."